Home » Pitman In The News » Watch out! In Pitman, it’s a trap! Watch out! In Pitman, it’s a trap! When I heard of an apparently perilous fundraiser in Pitman, I hoped for the worst. Of course, I imagined all kinds of ways the trauma might be intensified. After a few minutes, water could seep into the room, rising inexorably to soak the slow-witted. Heating vents might open to unleash a crawling cloud of tarantulas. Or worst of all, one player would be a ringer — inserted into the group due to his gassy nature. Sadly, Trapped Uptown emphasizes mystery, not misery. Participants face a series of increasingly difficult mental challenges in a room sprinkled with hidden clues, noted Lisa Morgey, who helped create the event as president of the Greater Pitman Chamber of Horrors. Wait, that’s “Chamber of Commerce.” Once again, my hopes got the better of me. 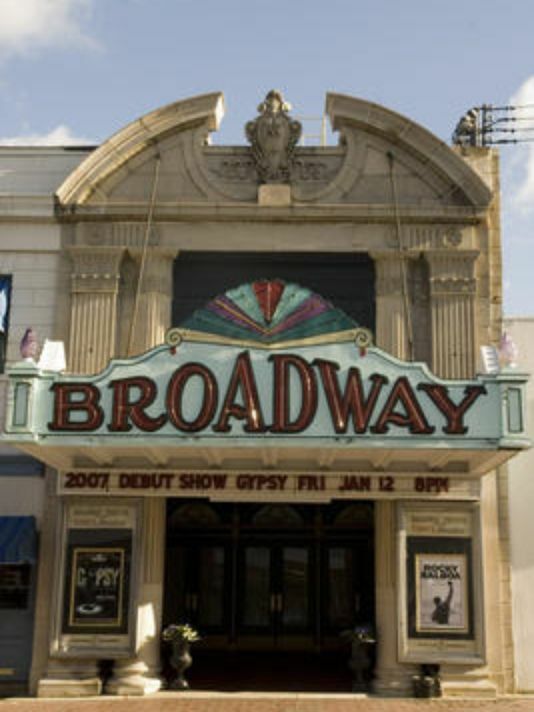 The fundraiser, which runs through Dec. 18, is part of an effort to raise $90,000 for a planned pocket park on Theatre Avenue, a small street adjacent to the landmark Broadway Theatre. About $20,000 has been collected so far, with a gala and other events still in the works. Thie borough’s boosters want to bring more visitors to the shops and restaurants of Uptown Pitman, Fitzpatrick said. Uptown Pitman? I’m not sure where that neighborhood is, I confessed. Organizers don’t want to say too much about Trapped Uptown, preferring not to give away several surprises. OK, maybe a few surprises slipped out there. Trapped Uptown takes place in the chamber’s headquarters on 2nd Avenue, where the Welcome Center now resembles the office of a fictional private investigator, I.M. Jeffries. Groups of up to eight people, paying $15 each, must solve the riddle of this guy’s decades-old disappearance. Organizers readily admit they borrowed the concept from for-profit ventures in Philadelphia and elsewhere. Sure, I.M. Jeffries might say they stole it, but he’s not really available for comment. And speaking of snoops, chamber personnel can follow the action — and supply hints — via a computer hookup with Jeffries’ old haunt. And if things go wrong for you? If the walls start closing in, the temperature rises, the body odors become unbearable? Trapped Uptown takes place through Dec. 18 in the Greater Pitman Chamber of Commerce Welcome Center on 2nd Avenue. Groups of up to eight players, ages 12 and older, can book online at uptownpitman.com. Cost is $15 per person.